The ADP Non-Farm Employment Change issued by Automatic Data Processing was released Wednesday, showing a worse-than-expected amount and was a record change below the forecast for the measure. The ADP Non-Farm Employment Change measures the estimated change in the number of employed people during the previous month, excluding the farming industry and government. The report is an early look at employment growth, usually two days ahead of the government-released employment data that it is designed to mimic. This report is important to traders because job creation is an important leading indicator of consumer spending, which accounts for a majority of overall economic activity. The forecast for the month was calculated to be 217,000, but came out to an actual amount of 179,000. This difference of 38,000 is the greatest difference over the past six months for forecast to actual amount. Small businesses saw the largest amount of employment for the month with 82,000, while medium businesses came out to 61,000 and large businesses posting smallest amount of 37,000. The service-providing sector overshadowed the goods-producing sector in employment with service-providing jobs being 150,000 and goods-producing jobs totaling 29,000. The ADP report also provides an industry snapshot that showed financial activities with the lowest amount in employment, measuring 6,000, while manufacturing came in second with 10,000. The professional/businesses services posted the largest amount with 46,000. The Federal Reserve on Thursday will disclose the initial jobless claims. This jobless claim measures the number of individuals seeking to receive state jobless benefits. A higher initial claims correlate with a weakening economy and is expected to be 310,000 for the month. 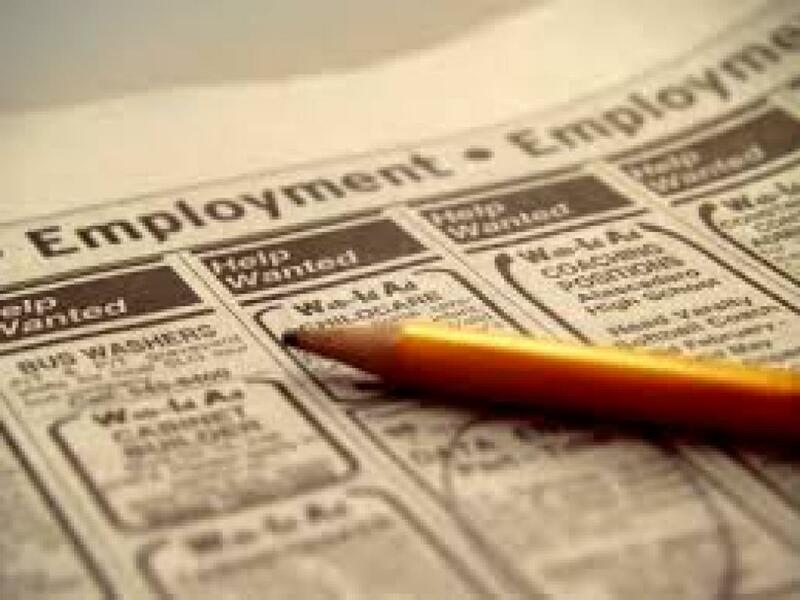 The unemployment rate is scheduled to be released on Friday from the Bureau of Labor Statistics. This percentage represents the total work force that is unemployed during the previous month. With unemployment being a major consideration for steering monetary policy and being and indicator of economic health, this number is monitored closely. With the unemployment rate in May being 6.3 percent, the June unemployment rate is expect to increase 0.1 percent to 6.4 percent. This number is down from April and March which posted 6.7 percent. Over the past six months, the highest unemployment rate was seven percent, which may have been supplemented by the harsh winter; as this percentage has decreased down to 6.3 percent over this time frame, this is a healthy sign of employment for the economy. 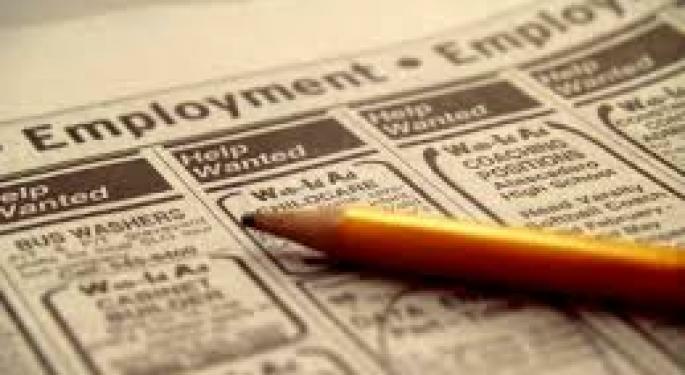 Stay tuned to Benzinga for in-depth coverage of the jobless claims and unemployment rate that are coming out the rest of this week and you can find the whole ADP report HERE.